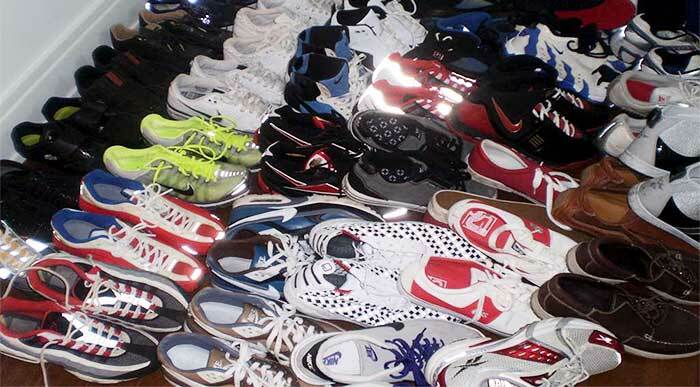 When It Comes to Shoes Collection, How Many Pairs of Shoes Does the Average Woman Have? This is the most frequently asked question a closet designer gets. Unfortunately, our closet designers take an oath and are sworn to secrecy, so we can never reveal one woman's private shoe count to another. Twenty pairs, however, is average for the general population. That being said, there is no reason you need to be average. 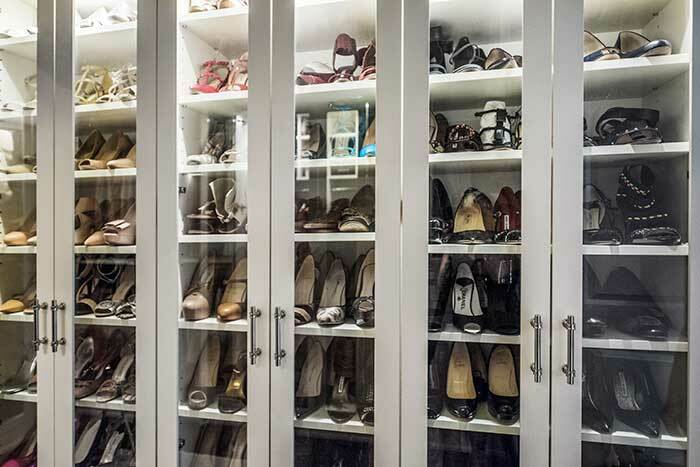 Many closet customers have shoe counts in the hundreds. No matter how many shoes you have, the bottom line is that you probably want them to last as long as possible. 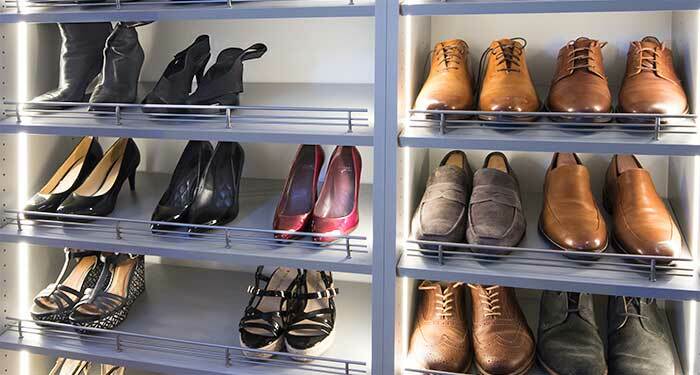 Having built a lot of shoes storage over the years, we can give you some great tips on footware storage and strategies that will help you get the most out of your own shoe collection. Quality: More than anything else you put on, shoes have the ability to shift the look of an entire outfit. It's an area to pay close attention to. So — buy the best quality you can possibly afford. Shoe Trees and Rotation: Extend the life of your shoes dramatically by putting them in shoe trees after a days wearing. The cedar will absorb the moisture (and smell) that remains from the day. Rotate by not wearing the same pair of shoes everyday. Color: Watch for color balance. Shoes should always be as dark or darker than your hemline. Black and taupe can get you through almost any situation. Limit White: White shoes make your feet look larger and draw attention down to your feet. With the exceptions of nurses and athletic footware, skip the white and spend the money elsewhere. The same principle applies to hosiery and socks. Plus these days, you can get athletic shoes in every color of the rainbow. 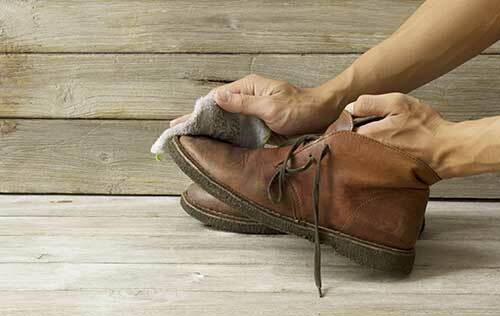 Keep Them Clean: If you make a habit of wiping down and cleaning your shoes before putting them away, they will last longer. You don't need to do a full buff and polish (but if you can that's geat). However, try to at least wipe the dust and dirt off at the end of the day. You will be rewarded for your extra effort with shoes that last longer. Really think about the shoes you have and are buying. If you wear them so infrequently that they go in plastic boxes — do you really need them? Quality Closet Real Estate is All About Location Location Location: If you think of your closet as "command central" — then the items you wear the most should be the easiest to access. 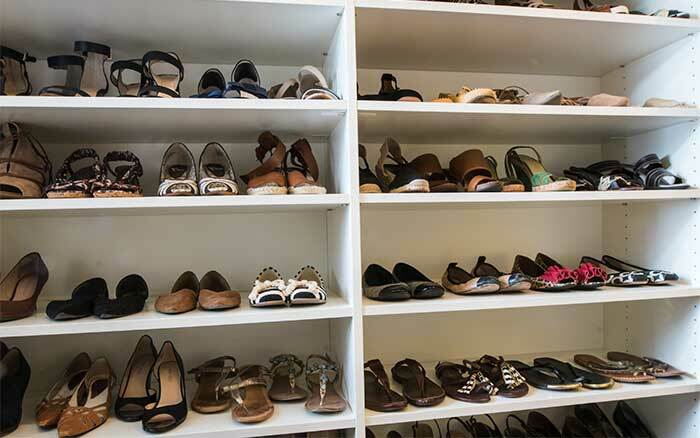 When it comes to storing shoes on shelves, place the ones you wear the most on the middle shelves. Lesser worn items go on the top and bottom. You will have less bending and stretching, plus they're easier to see and grab when you're ready to go or in a hurry. Optimize With Heel & Toe Shifting: A great way to maximize space is to place your shoes so that one is facing forward, the other backward (so you'll see the heel on one shoe and the toe on the other). Try re-arranging your own shoes in this manner and you'll see — you're going to fit more in! 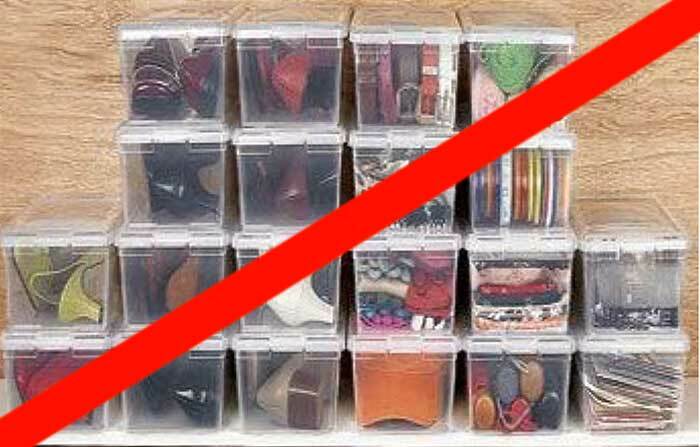 Following these shoe storage tips will ensure that all your footware lasts longer, allowing you to build your shoes collection with favorites and those one of a kind occasional pieces for special occasions. And if you need some help getting your closet space designed — please give us a call — it will be our pleasure to help in any way that we can! Remember, everything is easier when you're organized.